Back when people first started making soap, there were only two readily-available ingredients: lye and tallow. 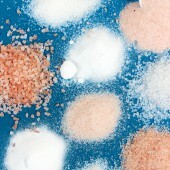 Tallow is basically animal fat rendered for soapmaking, and many soapers still use tallow in their recipes. 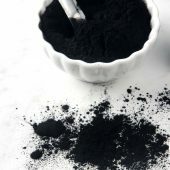 While it can be a controversial ingredient, it acts similar to palm oil in soap, adding lather stability and hardness to soap. 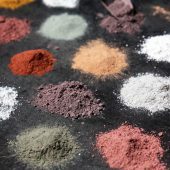 Some soapers choose to use it in place of palm oil, because they have a ready supply of it or because they like the properties it adds to their soap. 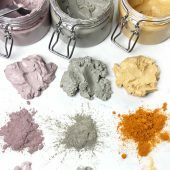 In today’s guest post, crafter Eric Vought explains the benefits of tallow and how to use its unique properties to your advantage. — A.M.
Tallow is rendered animal fat (curious how to render tallow? 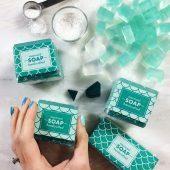 This post has information as well as this informative Teach Soap post). 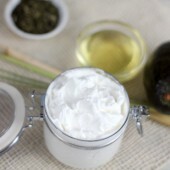 Tallow is mentioned in the first Greek legends when soap was accidentally created from ash and fats. 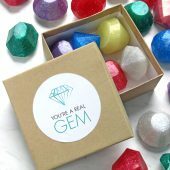 It’s great for making hard, white bars, and it’s ideal for certain decorating techniques. 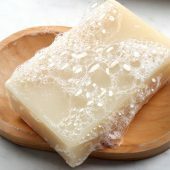 Eric Vought, the author of this post, made this laundry soap from a combination of sheep tallow, coconut oil and olive oil. 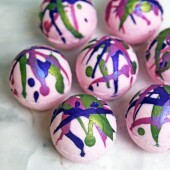 Watch for the tutorial coming soon! Guest post by Eric Vought – The fatty acids in tallow include palmitic and stearic acids. 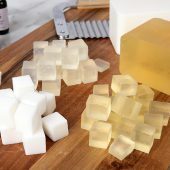 Since both are often sold as additives for making soaps and candles hard, white, and opaque, it should come as no surprise that tallow-based soaps are hardy, long-lasting bars. A cake of sheep tallow. 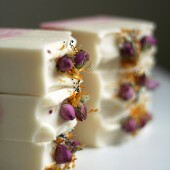 Tallow is known for being a hard, opaque fat that creates robust bars of soap. 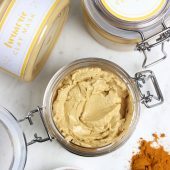 In southwest Missouri (where I live), if we want to make soap from local ingredients, we mostly have soy, sunflower, peanut, and canola oils to work with. 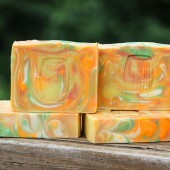 With the exception of peanut, which has allergen issues, our local oils yield very soft, somewhat yellow soaps. 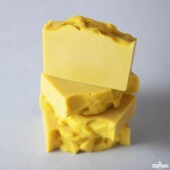 Animal fats such as tallow and beeswax, also locally obtainable, give us harder, longer-lasting bars. We raise sheep (primarily for wool) and process our own tallow as part of a “use everything we take” philosophy. We sometimes get beef fats from local butchers. 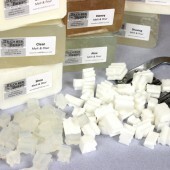 You can also order tallow online. Beef trimming that are about to be rendered into tallow. 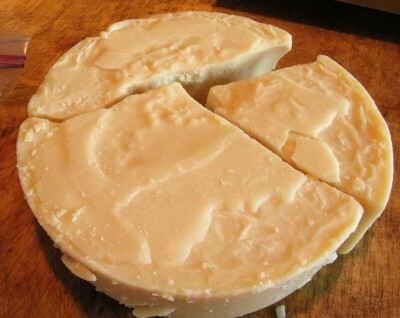 The best, most hard tallow is from sheep fats and the organ fats referred to as suet. Beef, deer, and goat fats also work. 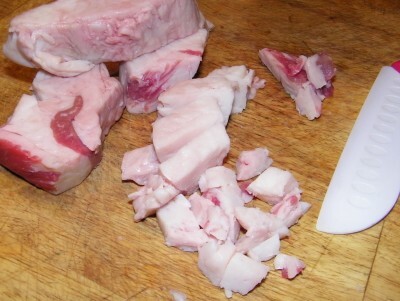 Rendered pork fats are referred to as lard: softer and of lesser quality. 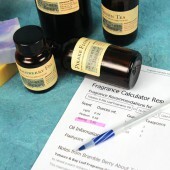 Pork/goat fats will have a strong odor unless “deodorized”. SAP tables often give tallow entries by animal (0.139 to 0.140). 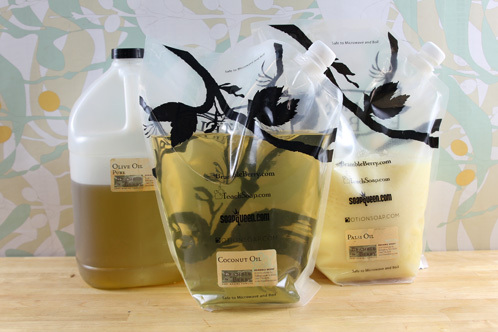 For home tallow, the difference will be dominated by batch variation and measurement error. Add a small margin (at least 3%) in your fat amounts to account for this error. When stearic acid saponifies, it releases heat and works quickly. 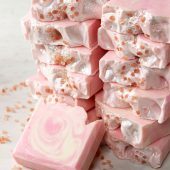 Tallow soaps therefore tend to be wonderful for simply recipes: quick trace, no insulation needed, and sliceable with little set-up time. 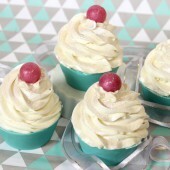 Fast set-up makes tallow recipes excellent for certain decorating tasks. Embeds are easily suspended, for example. 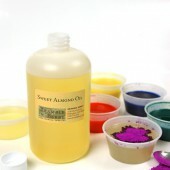 Tallow takes color well, and tallow-recipes are often very good choices for use in piping bags to decorate your bars because it is so hard. 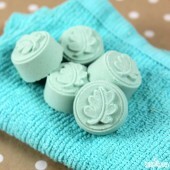 The firm surface of tallow-soaps will also take piping well. 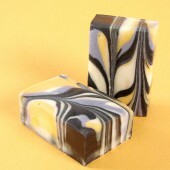 Tallow soaps have stable, creamy and pleasing lather but are not exceptional cleaners. This is one reason that it is often combined with coconut oil. 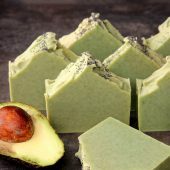 By itself, tallow soap is very easy on the skin, so you want to find a good balance of oils that increase cleaning and make your soap suitable for all skin types. 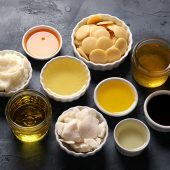 Tallow recipe tend to work well when combing with super cleansing oils, such as Coconut, or nourishing oils, such as Olive. 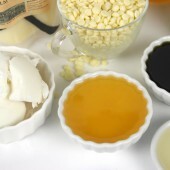 Tallow is also an excellent replacement for Palm oil. 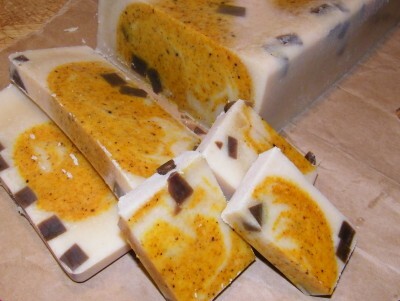 Beer and milk/cream in tallow soaps will tan your nice white soap. The heat from reacting lye carmelizes sugars. 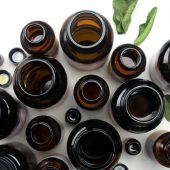 The resulting tones are pleasantly earthy, but if you wish to avoid them, freeze your cream or beer into cubes before mixing to keep the reaction at the lowest possible temperatures. 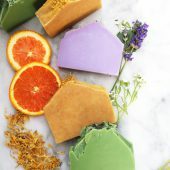 With fast trace, fast setup and forgiving behavior, tallow soaps are fun to experiment with and give you time to experiment with new soapy design. 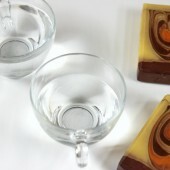 For more on the tallow rendering process, see Eric’s post on the Soap Making Forum. Stay tuned for a tutorial with tallow this week. 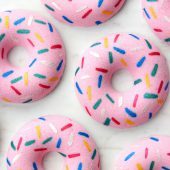 I realize this thread is old, but do you have any experience soaping with ghee (clarified butter)? 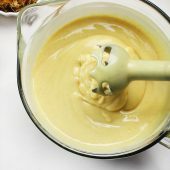 I’m working out of India and most people are vegetarians and would not like using animal fats, but ghee is everywhere! Thanks so much for your feedback! Each recipe will differ based on the cows, how it is prepared, etc. 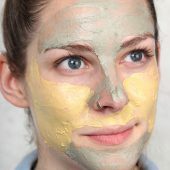 It sounds like your recipe is moisturizing and cleansing. 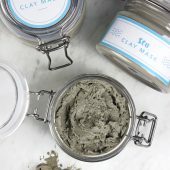 Eric, the author of the guest post, makes tallow soap regularly and has found it is not as cleansing as other oils, like coconut oil. However, everyone’s experience is a little bit different. Thanks again for your thoughtful comment. 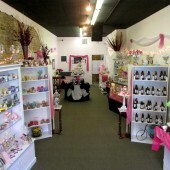 Hi…I am a big fan of Ann Marie’s and I have her book on soaps. I got it about a year or so ago and in the book, she say’s that Tallow can be used at 100% in Soap Making. So, of course, I think that it would be cleansing. 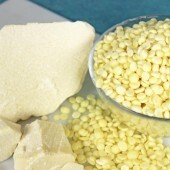 I have started using Tallow in my cp. 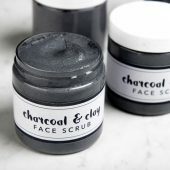 I have not tried a finish product as yet. 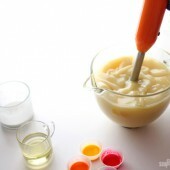 I like the way of the trace and the creamy smooth texture when pouring. 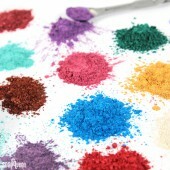 I do notice that it changes the fragrances a whole lot and many fragrances either get washed out or smell much lighter. 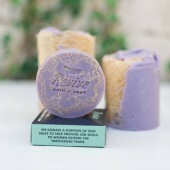 The only fragrances so far that seem to last is the violet, summer fling, and shave & shampoo. 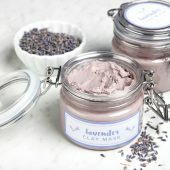 I tried it w/Lavender and it was kinda weak. Garden’s Eden did not even smell close to what it would smell like w/my regular standard old fashion recipe. Any suggestions or possible recipe using Tallow? 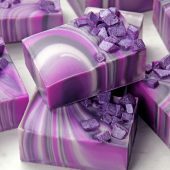 Thank you so much for buying Soap Crafting, and I’m so glad you like it! 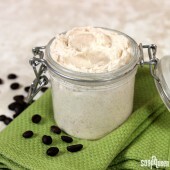 can you tell me where to buy beef tallow, i was under the impression that tallow is less expensive than olive oil! but I see the price per pound is more than olive oil, or the same. 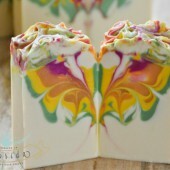 i really would like to make soap with tallow! You can get tallow online. I’ve also seen it in some local grocery stores! Also, you are correct, I noticed the price per pound is higher than olive oil. I’ve been rendering butcher scraps to make my own soap for years now. In fact, desire to use every part of the animal and to avoid palm oil were the main reasons I started making soap in the first place. Here’s a tip: have the butcher grind the scraps for you. Cutting them into cubes yourself takes forever, makes a huge mess, and the chunks always end up too big to render properly. Having them ground up makes the whole process a breeze, and the fat renders out almost as soon as the water reaches a boil. 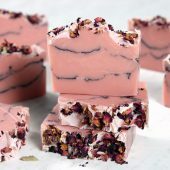 I understand that sometimes the odor would be unpleasant, but if I want to make a Bacon scent soap for my man, the smell of pork tallow wouldn’t help? I also use tallow and such. I also take my frozen hamburger that I packaged up for meals when I need it I place it in a pot add half water and set on high until it starts to boil then turn it down to simmer and let it cook until done, do not let it fry or you will have that strong odor, I then strain all the juices into a bowl, I put the bowl into the frig until cold and you can see the fat at the top, then I remove the fat from the jelled stock , I then remelt the fat and run it through a plastic (has a very fine screen on it) coffee filter to clean it and place it back into the frig then freeze it until I have enough for soap making, it does not take long to get enough up for soap. And it has less smell this way. That’s awesome, thanks so much for sharing your knowledge and expertise Brenda! I use beef suet (tallow) and pork leaf lard (both of which I purchase from a local rancher who pasture feeds his animals without the use of steroids or antibiotics) in my soaps, blended with other oils. I get nice, long lasting, creamy, hard bars. I render the fats myself, and learned a great trick to avoid having any “animal” smell at all in the soap. I water render the fats, three times. So, I fill up a pot halfway with water, plop in the tallow or the lard, and heat it until it melts. Then the pot goes in the fridge, until the fat hardens on top (just like soup making if you want to get the fat out). I remove the fat, dump the water, and start again. Triple rendering completely removes any scent. You’ll notice how clean the water is by the third rendering. The house doesn’t smell during the process; probably because I have such fresh, clean fat to begin with. A nice trick if using tallow/lard interests you. Happy soaping! What a great tip! Thanks so much for sharing this with us 🙂 It sounds like it’s definitely worth the extra steps! 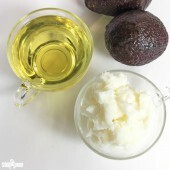 I know a Vegan soaper who uses tallow and lard. Her reasoning is that it’s not like they’re not going to exist regardless whether she’s vegan or not and will likely just end up in the landfill so you may as well use it. 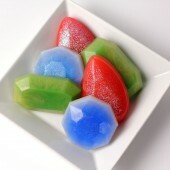 I don’t understand why any omnivore would be opposed to using such soap. 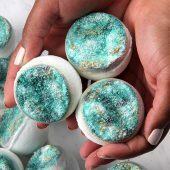 And they really do make incredibly good soap. I use goat tallow that I render myself from my own animals. It has very little odder and makes a very hard bar. 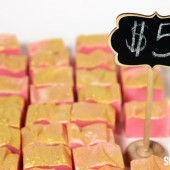 Combine it with goat milk and you have a exceptional bar with a creamy color. Nice post! 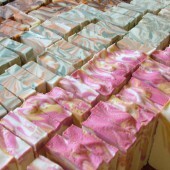 I use beef tallow in all of my soaps @ 40%. 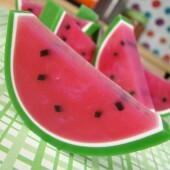 It makes such a nice bar of soap and is a good alternative to palm oil. I buy it in 60 lb. cubes! Thank you for all your hard work of helping us to learn. 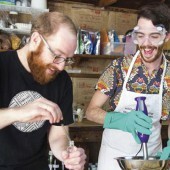 There is so much to learn about soap making. 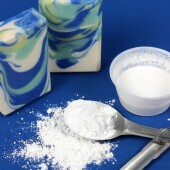 I have used tallow in my soap making and did not know all the above posted information. Thank you! I’m so glad you found this blog post helpful and informational! 🙂 We are always happy to help! Rather than rendering tallow, I use meat based shortening you can get right at the grocery store. It is supposedly 96-98% tallow. 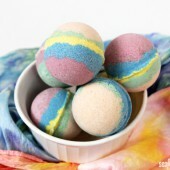 There is no odor and it’s very inexpensive. 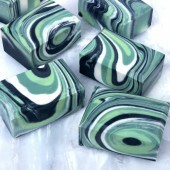 It makes wonderful soap at about 40% combined with 25% coconut , and 35% soft oils. Thanks for sharing this tip with us :). 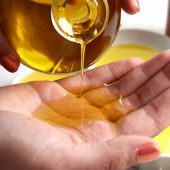 I’m glad you have found a combination of oils that you love! 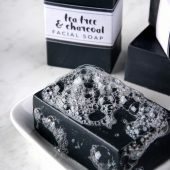 A great bar of soap, and a great deal? Can’t beat that! 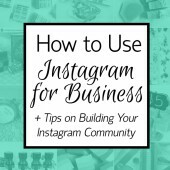 🙂 I hope you found this blog post helpful! 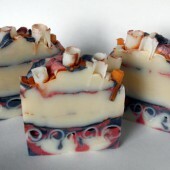 The very first batch of soap I made 15 years ago was with tallow. I rendered beef fat the butcher gave to me. I still have a bar of the soap, and it still has the distinctive tallow scent.